When a rightsholder complains to Google about a website infringing its copyright, Google will generally delist the site, but allow the site's owner to contest the removal through a process defined in Section 512 of the DMCA. But when Google gets a complaint about DRM-breaking tools, which come under Section 1201 of the DMCA, they remove the accused site and offer no appeal process -- it's permanent. Malware authors have been serving Google with DMCA 1201 notices, in which they impersonate Ubisoft, Steam and other large game companies. 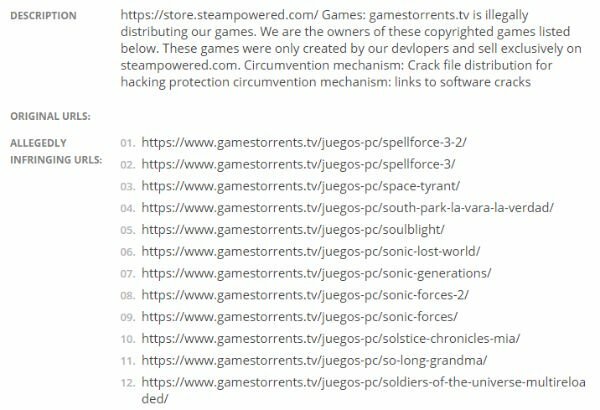 These notices target pirate sites that distribute cracked versions of games, and when the malware authors get them taken offline, permanently, their own sites rise in Google's search rankings, advertising the same cracked games, but these oneshave been poisoned with malware. After some negative publicity, Google has reinstated a few of the sites. Google correctly says that DMCA 1201 doesn't provide any appeal process, but that doesn't mean that the company has to honor obviously fraudulent notices.